Former acting Eskom acting CEO Koko Matshela. It is believed investigators have found prima facie evidence that the suspended acting Eskom CEO lied on camera. Matshela Koko, suspended acting Eskom CEO and group executive of coal procurement, lied on camera when he said during a Carte Blanche interview that he had never signed a deal with a Gupta-linked company. 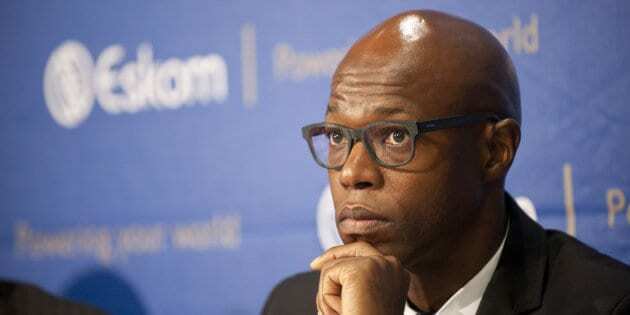 The Sunday Times reports Koko’s apparent dishonesty prompted Eskom board spokesperson Khulani Qoma to write a scathing letter to the board, in which he said Koko must be fired because “lying on camera is a cardinal sin for an executive, and recent memory doesn’t rival this particular incident”. According to the publication, the Cliffe Dekker Hofmeyr investigation into Koko found prima facie evidence of wrongdoing. The report seems to concur with widespread media allegations that “the power utility awarded contracts worth more than R1 billion to a company associated with his stepdaughter, Koketso Choma”. It is understood the report, first handed to the inquorate board of four members and then handed to the bolstered board, “recommended … a hearing, and said all contracts Eskom awarded to Impulse International after [Koketso] Choma joined the company should be investigated”. The report apparently agreed that Koko “tried to lie to them [investigators] about the extent to which Choma was involved with Impulse International”. It also found that on March 22, 2016, and merely two days after the company appointed Choma as an executive director, the power utility awarded Impulse International a R63-million contract. Astonishingly, the paper said investigators discovered that “most of the contracts Eskom awarded to Impulse International were on an emergency basis or without a bidding process or proper tender regulations”. Impulse International CEO Pragasen Pather is quoted as having said: “You ruined my business, carry on writing what you want,” while Koko referred all media queries to “Cliffe Dekker Hofmeyr and Eskom for the outcome of the investigation”. In a related matter, weekend media reports indicated Chwayita Madikane, an alleged Gupta ally, was left out of the Eskom board in what some believe to be public enterprises minister Lynne Brown’s last-ditch attempt to rid state-owned entities of Gupta-linked board members.